The Soccer Ball Senseez Vibrating Massage Pillow is a fantastic sensory massage pillow for kids! This colorful, lightweight, fun-shaped vinyl vibrating soccer ball cushion offers a gentle sensation when squeezed or sat on, relaxing, calming or soothing the body. 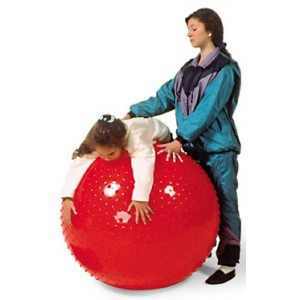 Great for all kids who: have difficulty sitting for short or long periods of time; get distracted easily; have tactile sensitivities; have trouble concentrating; could use help with relaxation; have difficulty calming down; have difficulty sleeping. 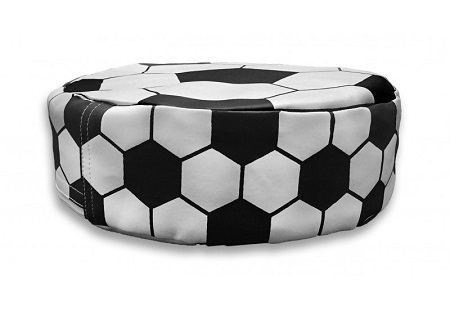 The soccer ball is for all the sports loving boys and girls and for parents who will love that their child sits longer! Senseez Pillows are: Cordless and battery operated (no dangerous electrical wires). They are compact and lightweight. They are square shaped pillows to suite your child's different needs. Senseez pillows have bright and fun colors for kids. Made of the softest material and has 3 spikes at the top and a tail for extra rubbing and holding. 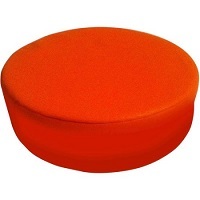 Senseez Pillows are constructed of: Thin layers of poly foam inside so sitting is comfy. They have zippered sides to replace batteries. A vibrating battery pack enclosed in own secure pouch. Vinyl material for easy cleaning and sharing and water resistant. Vinyl material for easy cleaning and sharing. Cordless and battery operated (no dangerous electrical wires). Vibrating unit is a self contained unit with a secure door to the batteries. Vibe unit can be removed if desired and is replaceable. Includes a metal clip for kids to attach to their backpacks for on the go! Perfect for chairs and benches. Dimensions: 9.5" x 9.5" x 3"